I knew that as soon as I bit into one of these luscious little confections, that my friend Angela was a true friend. She had given me a box of Fran's Gray Salt Caramels as part of my 30th birthday gift this year, and they were amazing. Apparently, I'm not the only convert. President Obama seems to find Fran's creations highly addictive as well. 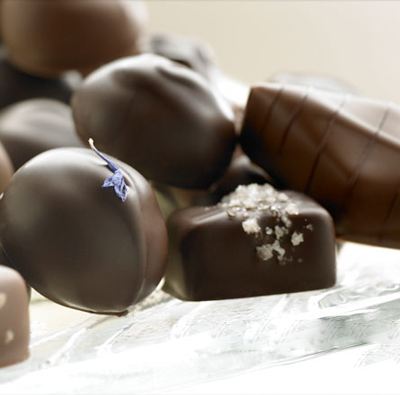 Fran Bigelow, the artisan behind Fran's Chocolates, creates these award-winning caramels in small batches, using ingredients like organic cream and gray and smoked salt. Yum. I'm curious about this now! How do they taste? I've never even heard of smoked or gray salt... I must not be hip enough ;) I tried to do a google search to expand my brain, but, for once, google failed me!